ISS, Inc., offers the expertise to ensure your MRI system is operating according to the manufacturer’s specifications. ISS has years of experience with the MRI systems on the market today in the U.S. We are also available to assist facilities in gaining their ACR accreditation, such as helping to complete the application, data forms and physicist inspection reports. We bring experience and knowledge together for MRI service that keeps facilities in compliance and productive. When purchasing new equipment, it is important to ensure that it is functioning according to the manufacturer’s specifications and your expectations. This testing should be done before the first patient is imaged. Acceptance testing is also required by the American College of Radiology for systems which are going to be accredited. We are able to provide full acceptance testing packages for any newly installed imaging system with complete reports within 3 days. Our testing is in accordance with ACR standards. 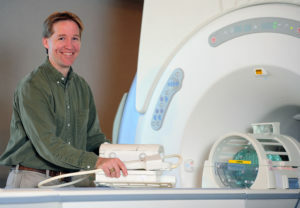 Physicist surveys of MRI systems are required on an annual basis for those systems accredited by the American College of Radiology. We pride ourselves on a fast report turnaround time so you can perform corrective action in a timely manner. We provide assistance in completing the application for ACR accreditation. This includes scanning the MRI phantom and reviewing the images with a critical eye. We can assist you in completing the data forms and providing you with the physicist inspection reports as required. “I enjoy helping organizations develop and improve thier overall safety programs,” Greg Sacket, ISS Inc.